BATON ROUGE – The Grambling State University Presidential Search Committee today selected five candidates to interview next week for Grambling’s top post. Interviews will take place Tuesday and Wednesday on the Grambling campus, with the Board of Supervisors for the University of Louisiana System announcing its choice around noon on Thursday, June 4. Candidate applications can be downloaded from the UL System website here. UL System staff will release details of the interview schedule when it is available. All public interviews will be videotaped and made available on the Grambling Presidential Search website. Members of the public can submit questions by writing the search committee at gsupresidentialsrch@uls.state.la.us by midnight Monday June 1, 2015. In addition to public interviews, candidates will meet with Grambling faculty, staff and students. Serving as advisory, non-voting members are Grambling National Alumni Association President Melissa Bickham; Grambling SGA President Jonathan Wallace; and Grambling community representatives Howard Davis, Wilbert Ellis and Mildred Gallot. 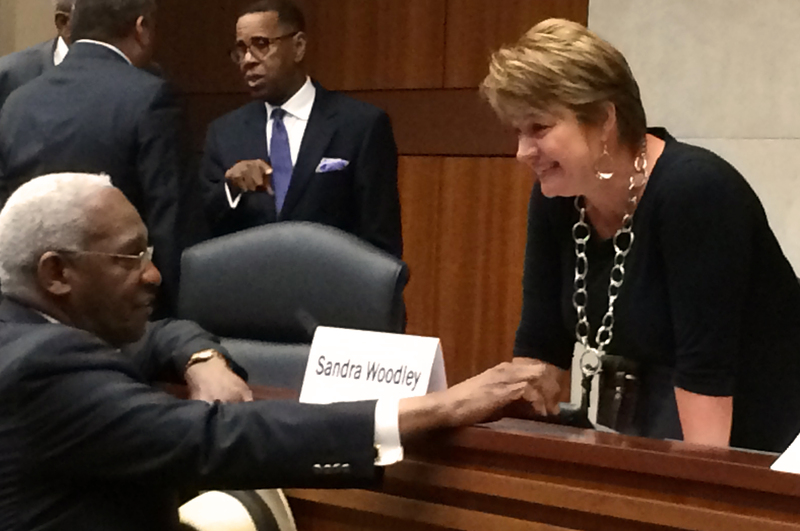 UL System President Sandra Woodley serves as non-voting committee chair.